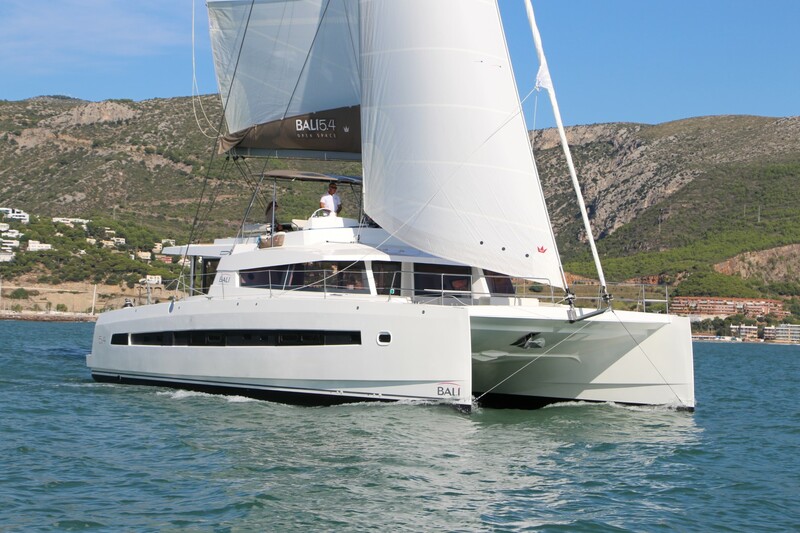 Bali Catamarans keep attracting the audience with their unique solutions in terms of spaciousness and comfort. 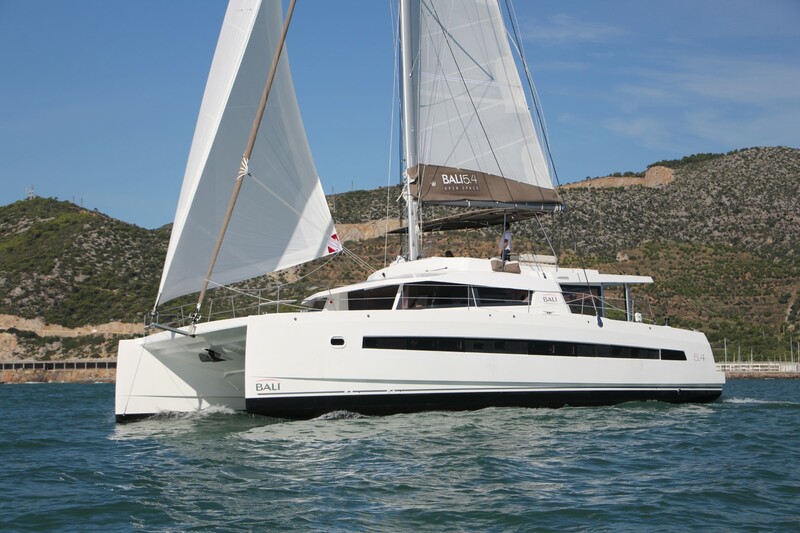 Their latest model, Bali 5.4, not only impresses by her size, but the amount of space as well. The length overall amounts to impressive 16.80 m with the beam of 8.84 m. Try to multiply these numbers and you will be close to the area of a useful space. We are already used to the saloon that extends to the aft, making it the integral space with the cockpit. There is no trampoline on the bow, but an integral deck which is a Bali’s trademark. On Bali 5.4 there is something new! The forward cockpit is integrated with the saloon by a tilting door, making the whole yacht one huge comfortable space free of bulkheads and other obstacles. The flybridge does not belong to the skipper only. Apart of the helm station there is a generous sunbathing area accompanied by U-shaped settees around two tables. The rest of the flybridge area is covered by solar panels, making this yacht more energy-efficient. This space layout is the result of the cooperation between the concept maker Olivier Poncin, naval architect Xavier Faӱ and Lasta Design. The dining area, which can accommodate up to 12 persons, dominates the port side of the saloon, while the comfortable sofa is offered to port. Like the smaller models, Bali 5.4 is also equipped with a huge double door refrigerator with freezer, ice cube maker and cold-water tap. 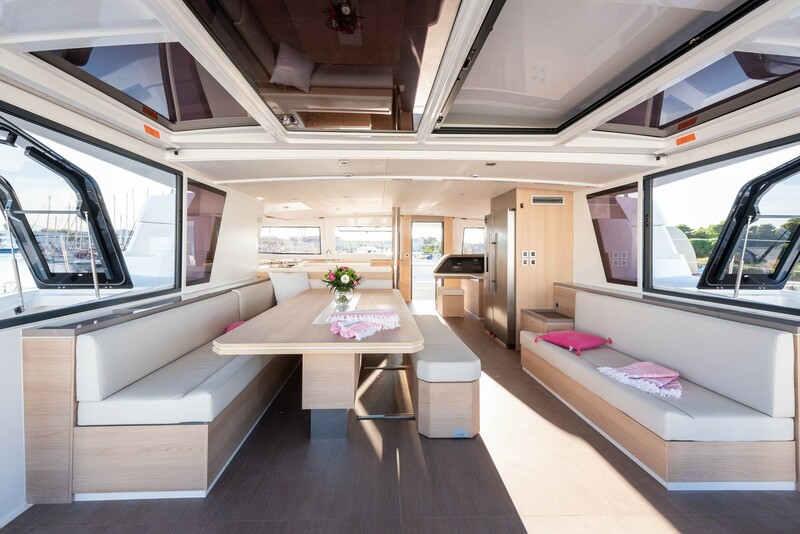 The galley divides the saloon from the foredeck, while the direct access to the ‘open-air living room’ is meant through the full height tilting door. 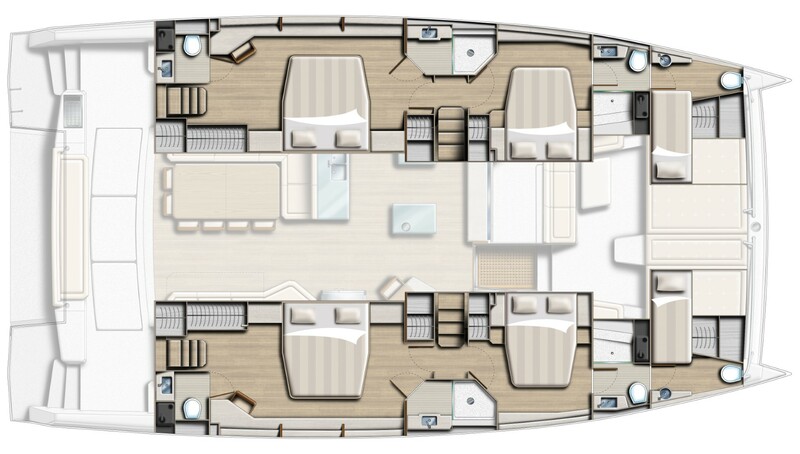 The space below deck can be divided between four, five or six double or twin bedrooms. Besides the accommodation cabins, there are two additional crew cabins, one in each bow. Those are equipped with a head and washing basin, thus making life at sea easier for both the crew and passengers. The access to the rear cabins is from the deck, on each side. The central and front cabins are accessible through companionways from the saloon and a small hall dividing front cabins from the central ones for full comfort and discretion. Since the comfort is one of the highest priorities of the Bali 5.4, the air conditioner, heater, dishwasher and (optionally) laundry machine are powered by a generator, while other power systems rely on gel batteries and quite reliable and mighty solar panels. Although Bali 5.4 is designed to be easily handled short or single-handed, many owners decide to install a bow thruster in order to make in-port maneuvers easier. The fresh water tank capacity is quite impressive – 1200 L. On the second thought, it is not too much when we consider the accommodation capacity of Bali 5.4. Still, many owners decide to equip their Bali 5.4 with a watermaker, just not to worry about water supplies too much. This yacht is meant to be powered by two 60 or 80 HP engines, while the diesel tank holds as much as 1200 L of diesel. 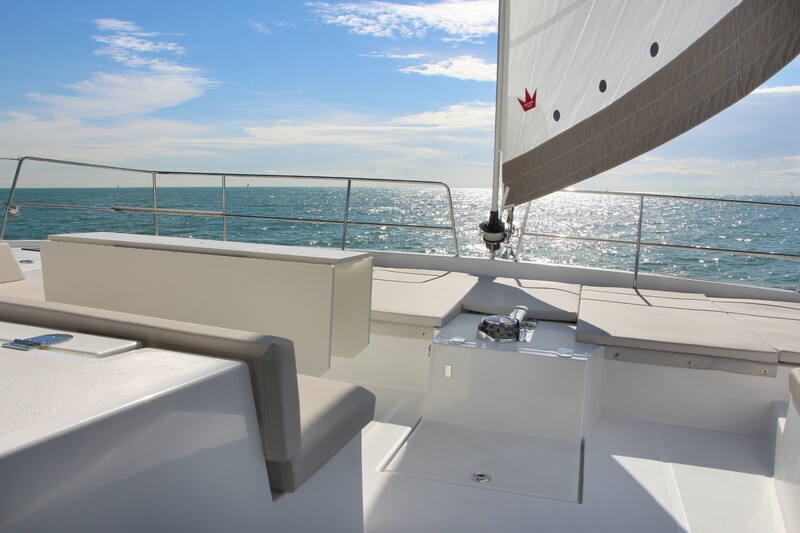 Again, it is not too much because the generator, if installed, is in the daily use at the yacht such as Bali 5.4. 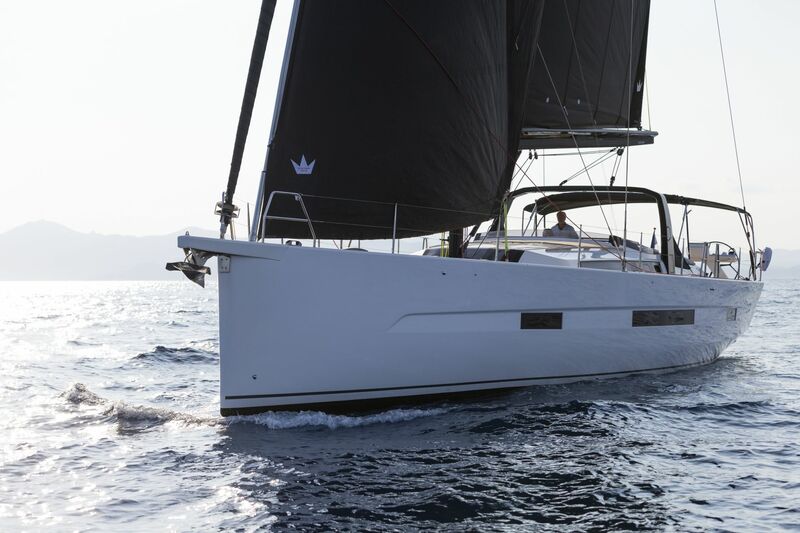 The sail area is divided between a 99 m2 mainsail and a 58 m2 headsail, very often designed as a self-tacking jib. 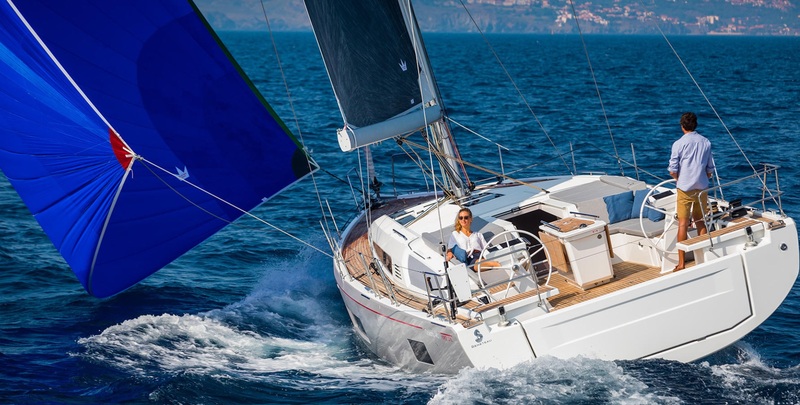 I believe that Bali has broken many rules that have already been set on the previous models and that the popularity of the brand can only grow after sailing the latest model – Bali 5.4.